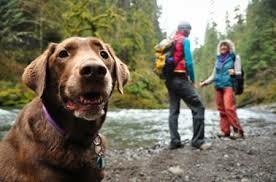 This article combines my two favorite things – Dogs and Hiking. I’m always looking for some new trails to take my Boxer and my backpack in the North Georgia mountains. I have put together a couple of resources for you to make your search easier. Dog perks: Gentle rolling elevation and a deep swimming hole near the trailhead make this an all-time favorite. Human perks: Hike past beautiful waterfalls to the main attraction: a waterfall that cascades through a 40-foot-tall cliff. Dog perks: The awesome reward at the end of this semi-difficult Appalachian Trail hike: a quick swim at Lake Winfield Scott. Dog perks: It’s a day full of splashing, swimming and adventure! Take a fun one-day road trip to four tumbling waterfalls and lots of places to swim. Human perks: Hike to four waterfalls in one amazing day! Take our Georgia waterfall road trip to explore lush, green North Georgia forests and some of North Georgia’s most beautiful waterfalls. 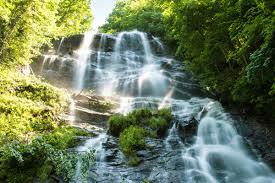 This hike covers Amicalola Falls, Jacks River Falls and goes deep in the remote Cohutta Wilderness. Make sure to check out our waterfront cabins. Our Ellijay GA location is central to most hiking and biking trails in N Georgia and Blue Ridge. Don’t forget about the local pubs and wineries in the area after a full day of hiking! 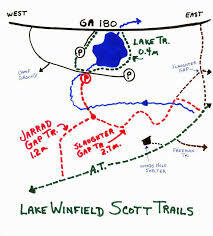 Have fun and see you on the trails.